Pre-K Attendance Made Simple: Manage and track dialy attendance of student & staff. Mark attendance within few seconds and see all the history of attendance class/child wise. Authorised Staff can take attendance in EduSys for their respective classes in just seconds and admins can see entire attendance summary at a flash. 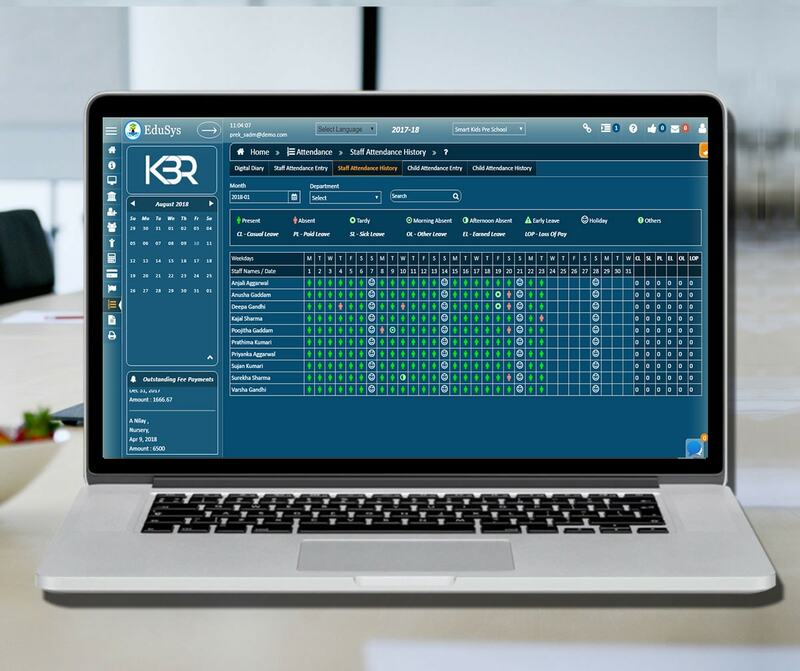 Our calendar is centralised and configurable specific to all user types based on the Child care operation. Also it will display entire year’s pre-populated weekend holidays, public holidays and institution specific events on a single view. Flexible Options: Daily attendance capture tardy, AM/PM absences, medical excuses etc., can be extremely helpful in understanding the attendance pattern of any particular child. EduSys is loaded with a unique activity based attendance feature which can be captured by the respective curator of a class.